Saturday was a great day for Colorado, but an even better day for Boulder as Boulder County breweries took home 8 medals at the 2015 Great American Beer Festival in Denver this past weekend. While Colorado took home 36 medals, Boulder County dominated the Pro-Am competition, with Odd13 Brewing taking the silver and FATE Brewing the bronze. Long-timer Avery Brewing Co. didn’t come home empty handed, claiming a silver medal in the Belgian-Style Witbier category for local favorite White Rascal. 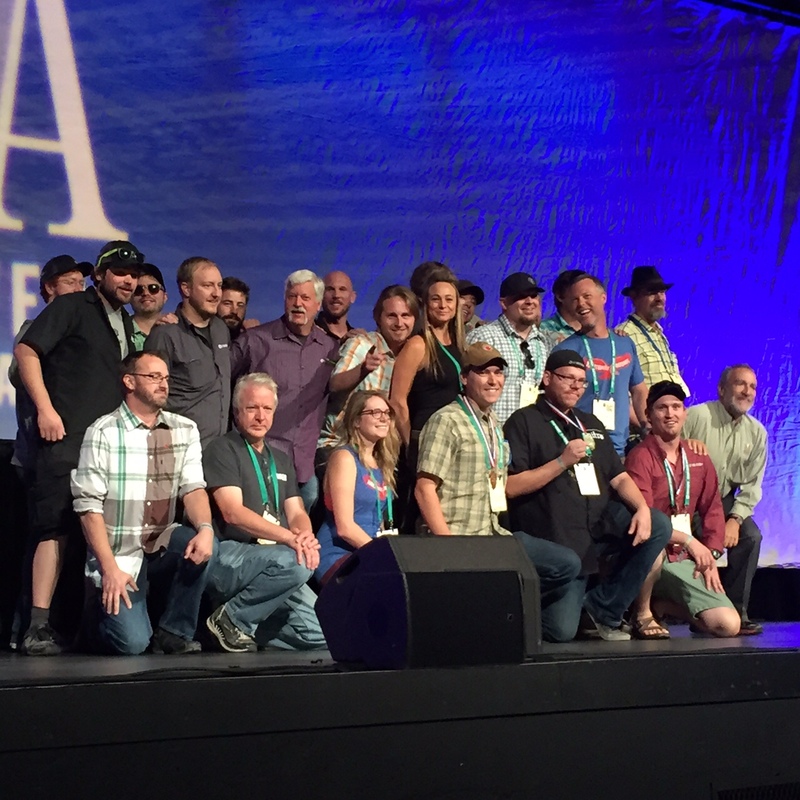 Left Hand Brewing Co. took home three medals at GABF including a third gold for Fade to Black – Vol. 1. Photo provided by Left Hand Brewing. It was a first for Lafayette’s Liquid Mechanics, who took home bronze for “Altbier” in the German-style Altbier category, as well as for Niwot’s Bootstrap Brewing who also claimed their first GABF win, taking home the silver for their Wreak Havoc Imperial Red Ale. Most notably, Longmont’s Left Hand Brewing Company took home three medals – including a third gold for Fade to Black, Volume 1 (Export Stout), and bronze medals for Sawtooth Ale (Ordinary or Special Bitter) and Blackjack Porter (Brown Porter). This is the third year in a row the brewery has taken home three medals. “We’ve been very fortunate to win three medals each of the last three years in a row,” said Left Hand spokesperson Emily Armstrong. “We’ve taken 9 medals home in three years,” she added. Left Hand is known for their dark beers, namely stouts, but have also shown a presence in the bitter beer and amber categories, this year with their bronze for Sawtooth Ale. “We submitted Sawtooth in our first year, (1994), and we took home gold that day. And now, 23 years later, that beer is still holding up, and I think that is something that we’re really thrilled to tout 23 years later,”commented Left Hand’s community and events manager Josh Goldberg. Armstrong added Sawtooth won gold in 2013, 20 years after the beer’s inception, which proves the beer’s strong staying power among its competitors. What did not hold up this year was their signature Milk Stout, which did not medal this year, but Goldberg says it’s all part of the process. Although it is always a goal to be recognized, GABF is a true celebration in which folks who are all passionate about great beers can congregate in one city and a time when all sorts of debauchery happens. “The beer festival itself is one thing, which of course is loaded with a bunch of folks having a lot of fun, but it’s (at) the after-parties when you start figuring out who can pace themselves,” reflected Goldberg, who is still regrouping from the weekend’s events surrounding GABF. What’s in store for the Longmont brewery? Stay tuned to Eatdrinkboulder.com for details on the upcoming Left Hand Brewing Co. NitroFest coming to Roosevelt Park on November 14. *Admin edited this story to reflect 8 total medals won in Boulder County, not 7. Our apologies. Previous Previous post: Fresh Thymes: Eating With Power!